It’s c-c-c-cold out there. The blizzard skirted New York, but my family and friends in New England got hit pretty hard. Here in Virginia Beach we awakened to snow as well, but it stuck to the lawns and trees and not the roads. It was a lovely commute to work and by noon time the white stuff had disappeared. Nonetheless, it’s time for comfort food by the fireplace. It’s nice to have a houseguest who cooks. It’s even better when the houseguest is a chef. 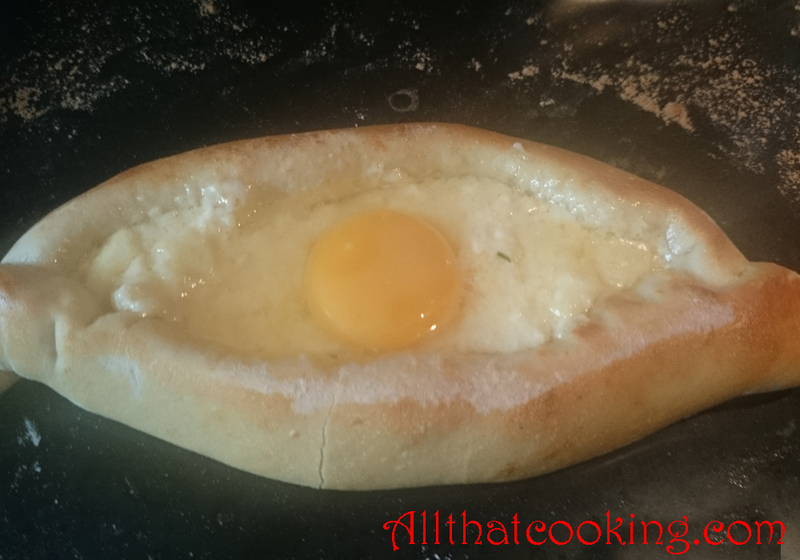 And it’s the ultimate when my houseguest is Oli who prepared a bread boat filled with cheese and topped with an egg. 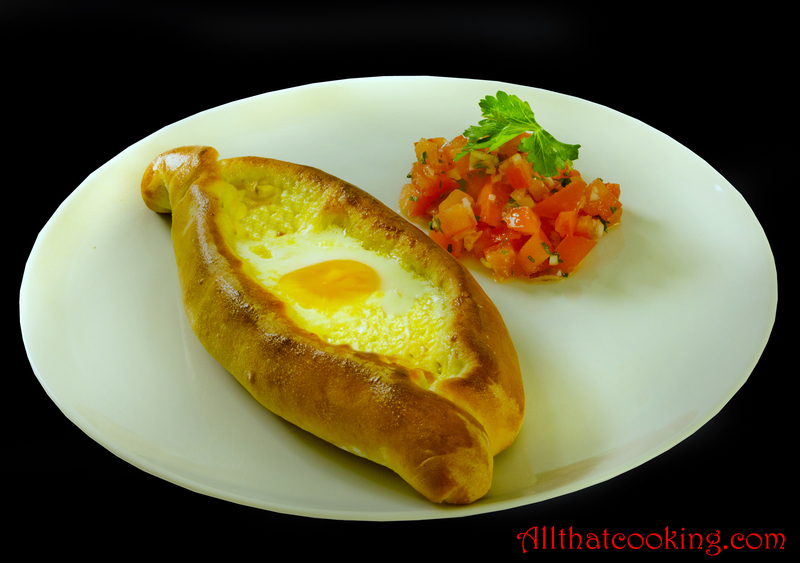 Freshly baked bread, oozy cheese, and a bright, sunny side up egg smack in the middle. And ohh, did I mention the butter gently melting atop this creation? What’s not to like about this savory cheese pie? We literally just tore into this ultimate comfort food. That’s right, we tore of the bread, dipped it into the egg, cheese and did I mention the butter? I’m telling you, it was nirvana! And just between us, it was better than pizza. 1. In a large bowl whisk together 1/2 cup of the flour, 1/2 cup of the water and all of the sugar and yeast until well blended. 2. Whisk in the oil. Set yeast mixture aside for 15 minutes at room temperature. 1. 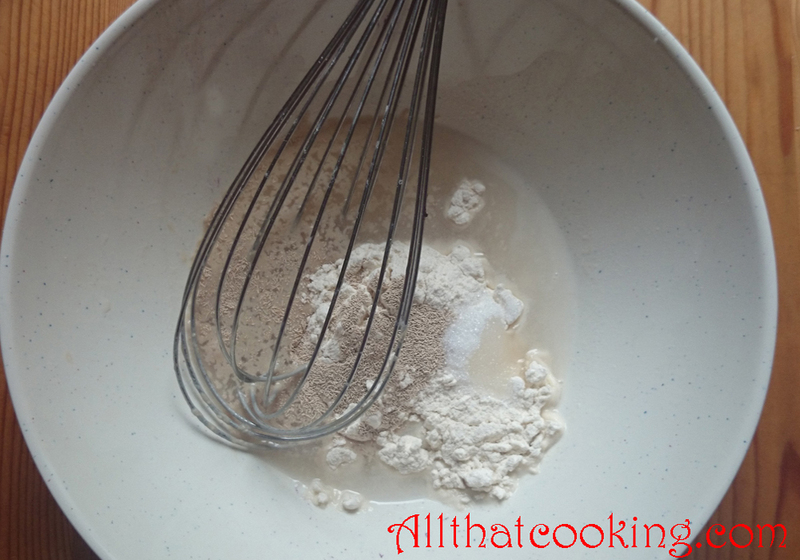 In another large bowl, mix together the remaining flour and the salt. 2. 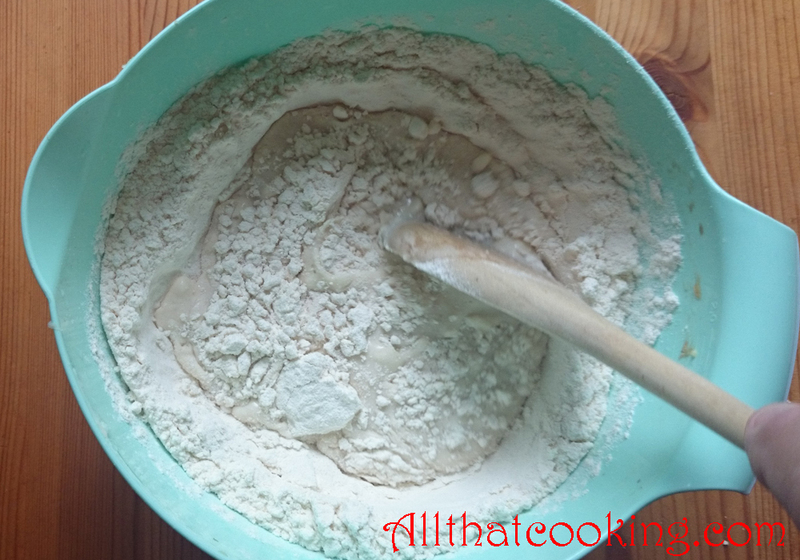 Make a well in the flour, pour in the remaining water and add the yeast mixture. 3. 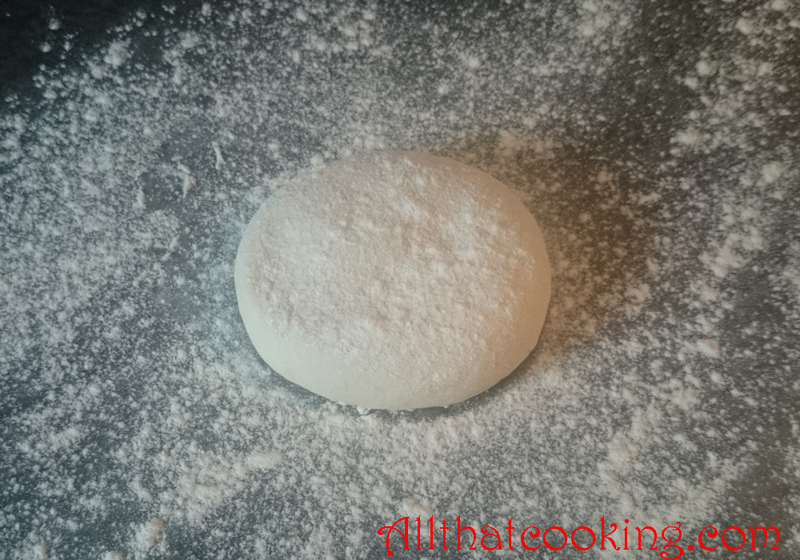 Gradually work the dry ingredients into the liquid mixture from the sides until combined and you have a sticky ball of dough. 4. 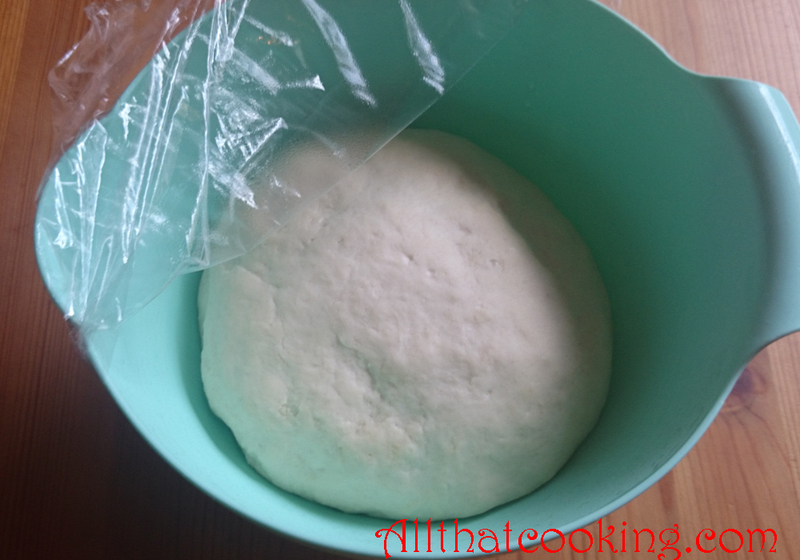 Turn dough out onto a clean work surface. 5. 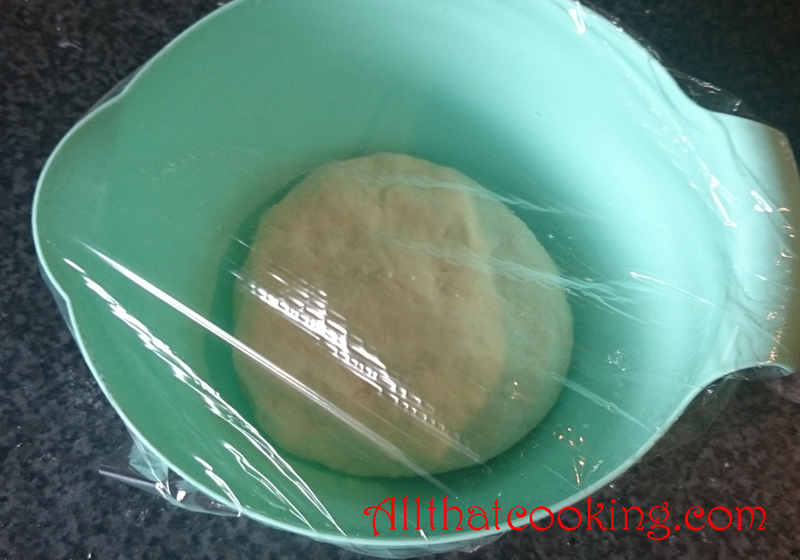 Knead the dough with your hands until everything is well mixed and the dough is elastic and smooth. 6. 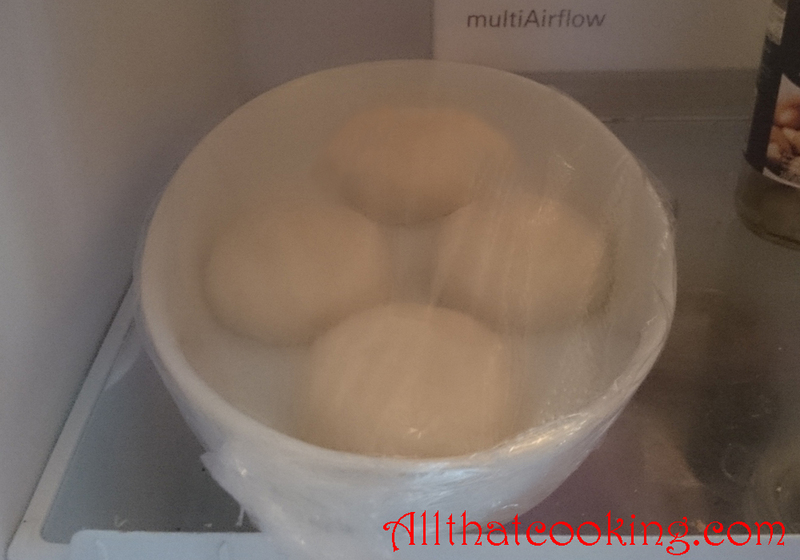 Put dough ball in a bowl, cover with plastic wrap and leave at room temperature in draft free area until it doubles in size. 7. When doubled in size divide the dough into 4 equal pieces and knead each into a ball. Place them on a tray or dish, cover with plastic wrap and refrigerate overnight. The dough will continue to rise in the fridge. Remove dough from fridge. If it has not doubled in size, keep it covered at room temperature in a draft free place until it does double. 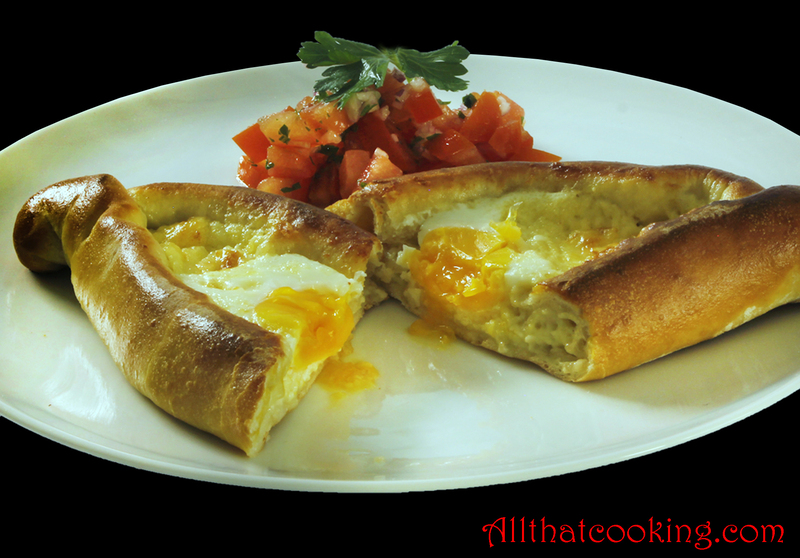 In the meantime in a large bowl combine cheeses and gently mix them with one egg. Taste and add salt if necessary. Keep at room temperature until ready to use. 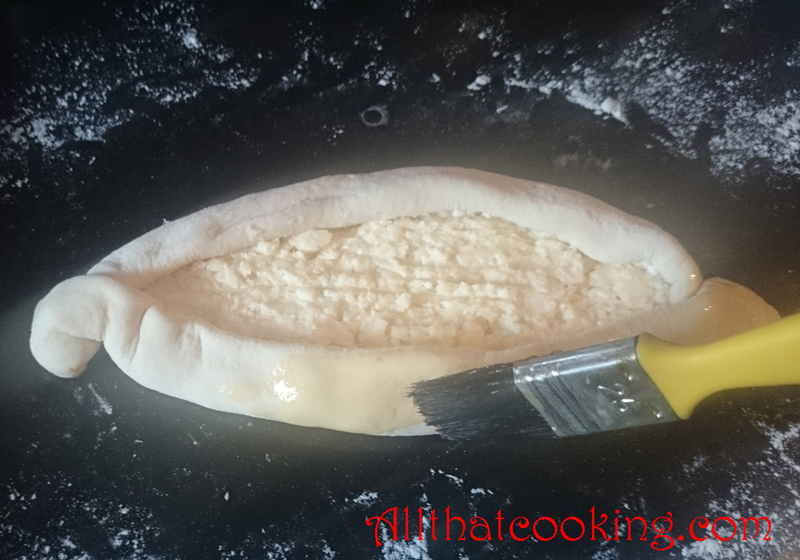 Put a dough ball on a lightly floured surface, dust top with flour and use a rolling pin to roll it into an oval that is 11-inches long by 7-inches wide. 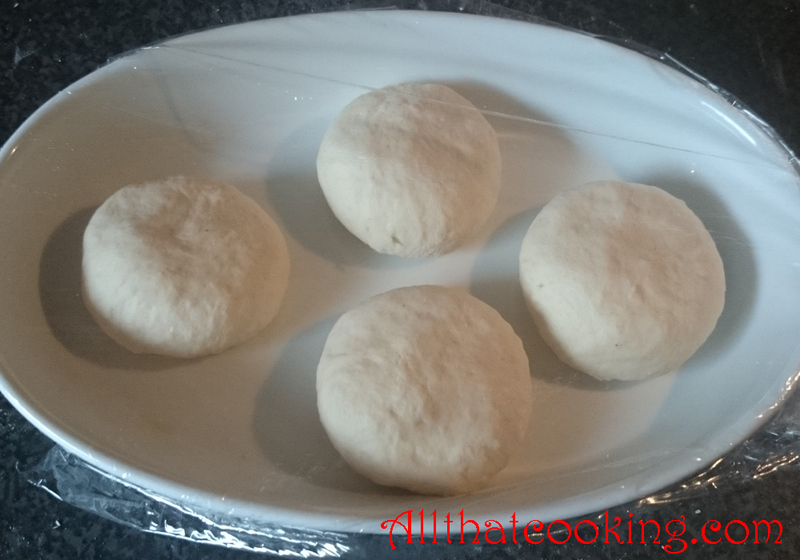 Repeat with each dough ball then place each on a lightly floured baking tray. 4. 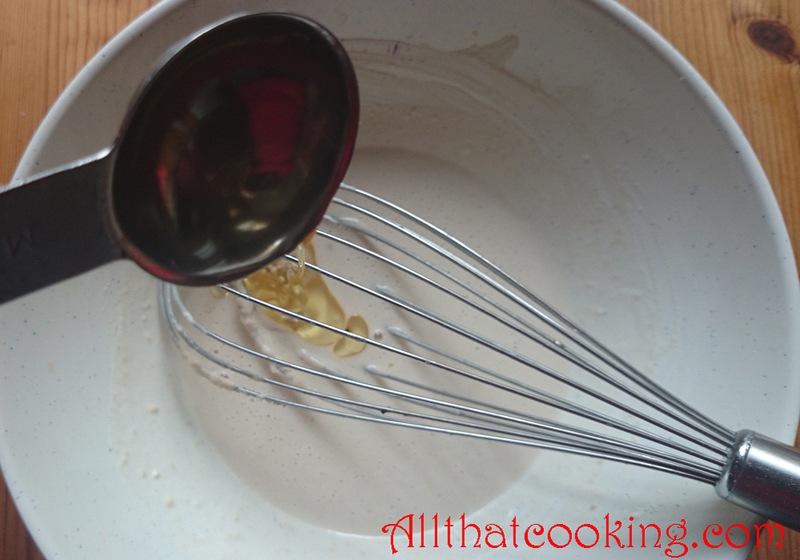 Make the egg wash by whisking egg yolk and milk together in a small bowl. 5. Brush a 1-inch border of egg wash around the edges of each oval then fold over the edge all around the pie. 6. 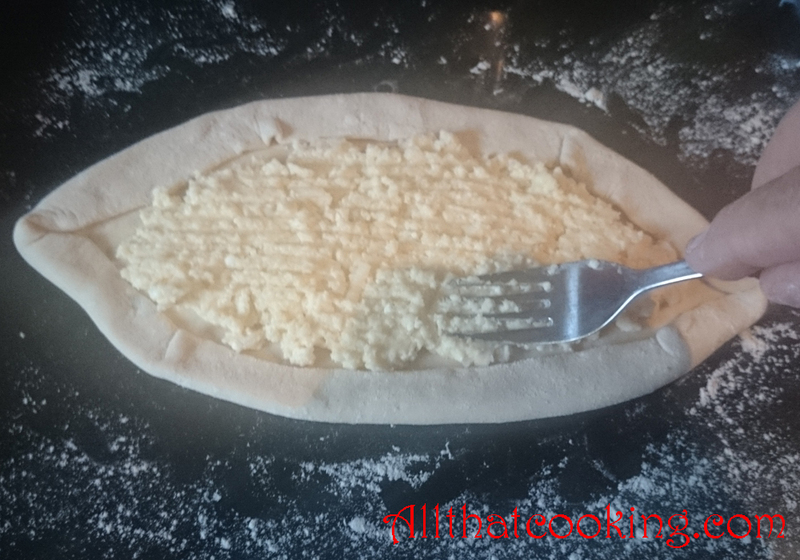 Divide the cheese filling among the four ovals and again fold over the edge all around each pie so that you build up the edge and it overlaps the cheese a bit. 7. Brush the final folded edges with egg wash. Bake 8-10 minutes until dough is golden. 8. 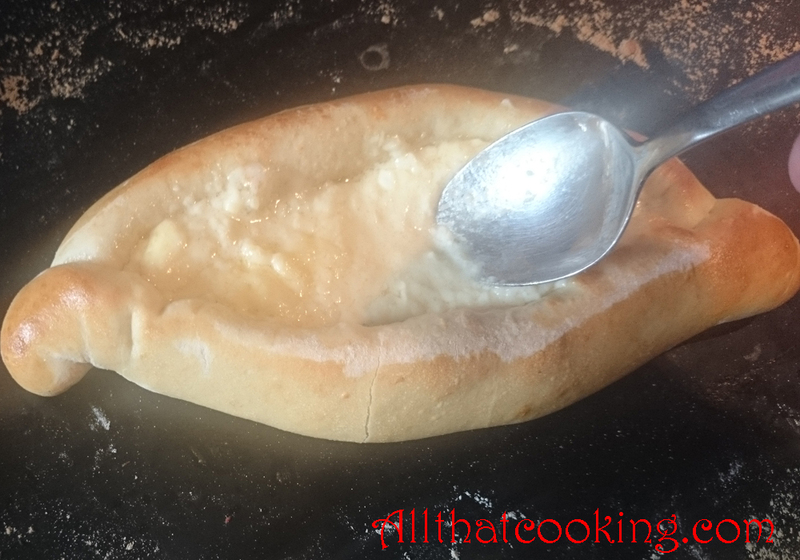 Remove pies from oven and use the back of a spoon to make a well in the center of the cheese. Brake an egg into the well. 9. Return pies to the oven and bake 4-5 minutes. Enjoy your golden pie topped with a perfect sunny-side up egg and add some butter to the top. Just because it’s comfort food. Gallery | This entry was posted in Breads, Main Dishes, Savory Pies and tagged savory cheese pie. Bookmark the permalink. What a great savoury pie! And it makes a great meal with side salad or a bowl of hot soup. Great idea oh healthy one! How about good ole cream of tomato soup? A take off on grilled cheese and tomato soup lunch of childhood. You make me the dough and I’ll give you the pie in a wink; how about that? 🙂 Very drool inducing recipe and pictures. Hope you’re finding 2015 nice and kind to you. Hello and happy new year to you! Just say the word. . . Dough coming up for you. Hope all is well with you.